Odessey Greek Band are BACK due to popular demand! 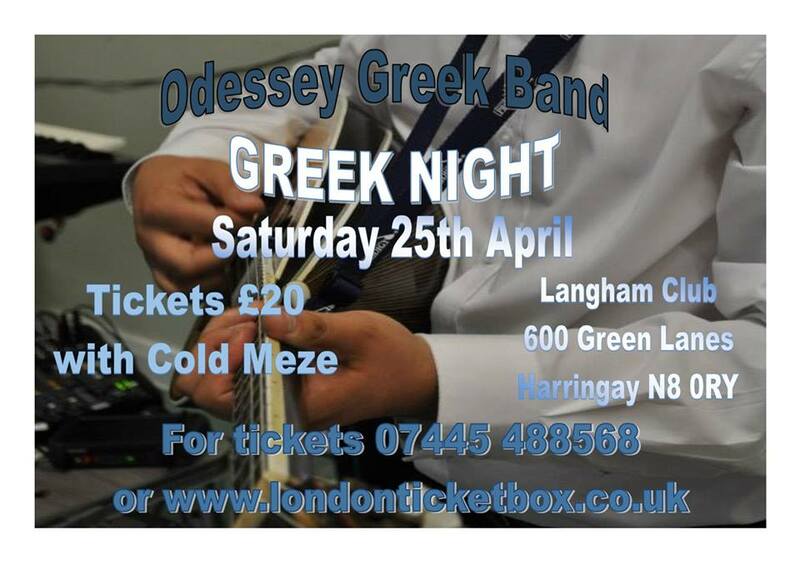 Night of Live Greek music at the Langham Social Club 600 Green Lanes,Harringay N8 0RY, with the Odessey Greek Band. Tickets for this event are £20 which will include a cold Meze Buffet. Also, we have the CHEAPEST BAR, best priced drinks at any Greek Night in LONDON!!!!!!!! Book your tables now to avoid disappointment. Tickets are limited and this is a ticket only event. or just facebook inbox me. Live Music, DJ, Food, Drink & DANCING!!!!!!!!!! IT’S GOING TO BE A GREAT NIGHT, AGAIN!!!!!!! 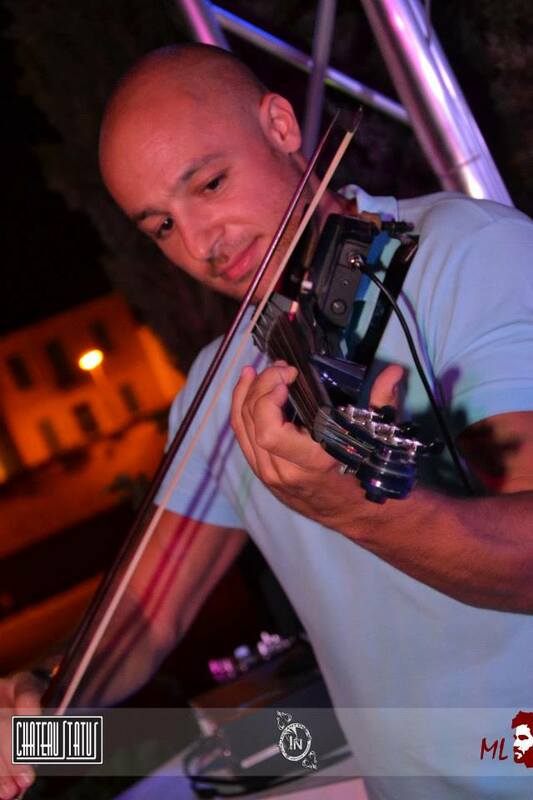 There will be a Free Buffet served at 8pm followed by LIVE Greek Music from Odessey Greek Band at 10pm until 2am. We will be playing popular Greek songs both new and old. So what better way to spend your Greek Easter Sunday ! 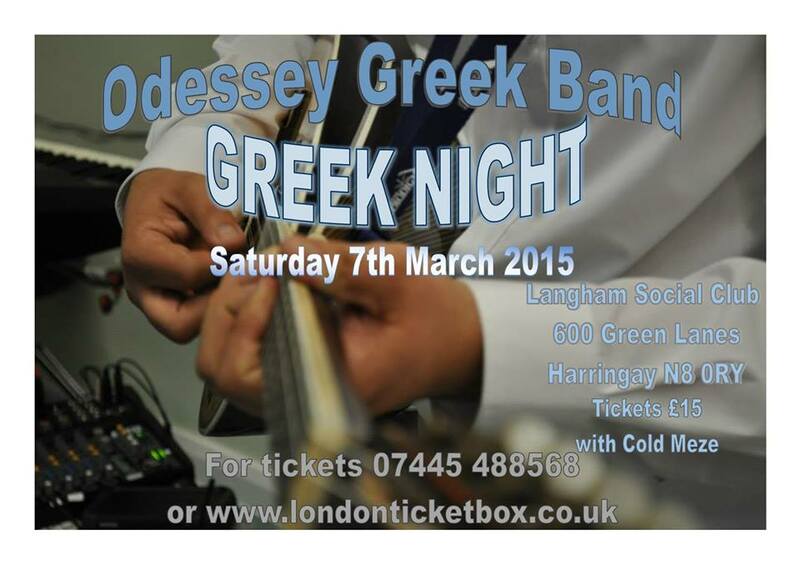 Night of Live Greek music at the Langham Social Club, 600 Green Lanes,Harringay N8 0RY, with the Odessey Greek Band. On the night there will be some Special Guest performers. Tickets for this event are £15 which will include a cold Meze. Tickets are £15 in advance. Our next Event is a Greek Night at the Russell Square Grosvenor Casino on Sunday 26th October 2014. This is due to a high demand following our performance there on Easter Sunday 20th April 2014. There will be a FREE buffet for guests from 8pm till 9:30pm, followed by Live Music from 10pm till 1am. 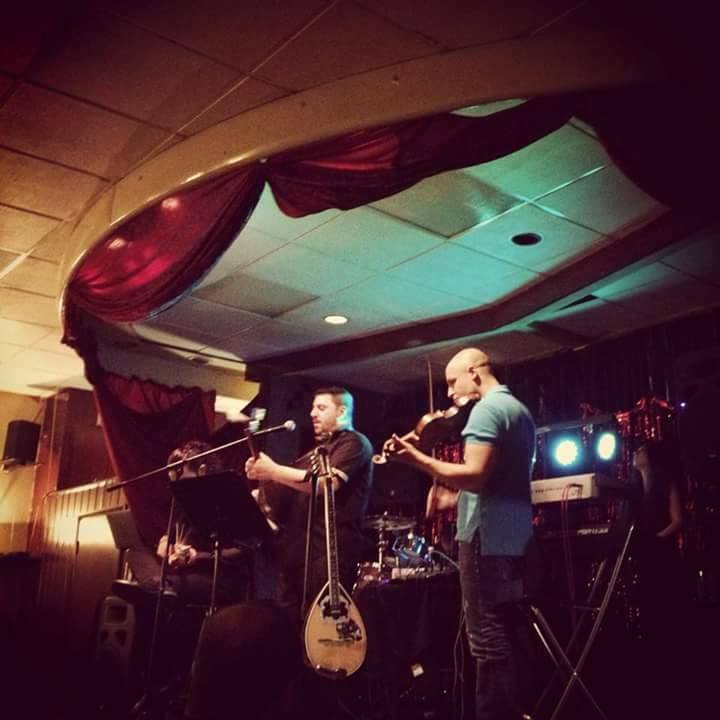 On the night, the band will consist of Kyri on Bouzouki and Vocals, Leyla on Keyboard and John on Bouzouki. This entry was posted on Friday, October 17th, 2014 at 11:55 am	and posted in Events. You can follow any responses to this entry through the RSS 2.0 feed.